I’ve had the most horrible cold and it’s gone on for nearly two weeks now. As a result, my body has been craving healing foods. Ginger is a wonderful spice for alleviating soar throats and general bunged upness. Earlier this week, with Bonfire Night fast approaching, my thoughts inevitably turned to gingerbread. The result of my deliberations were these little sticky ginger apple cakes. 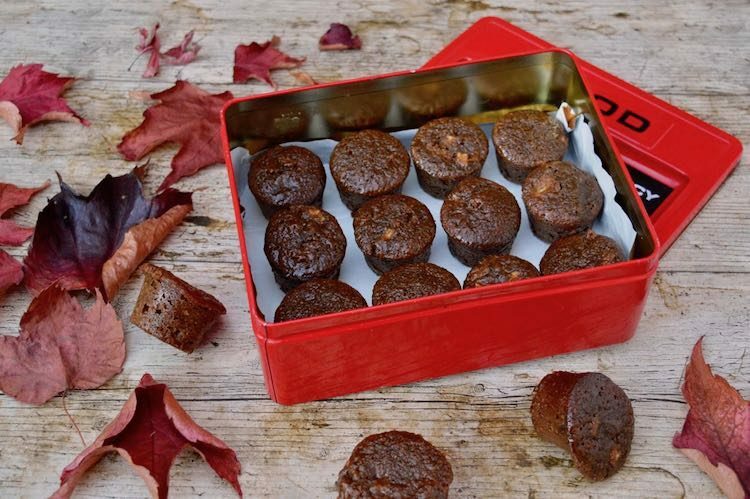 Oh my days, they are good – super sticky and gloriously gingery. 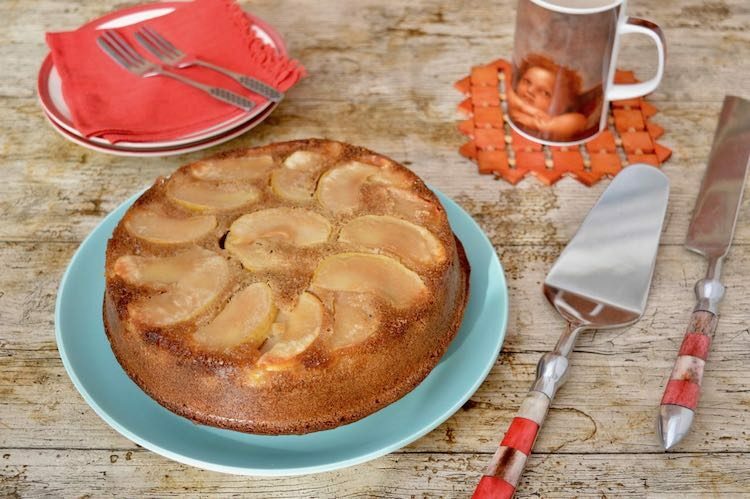 This wholemeal upside-down apple cake is super easy to make and and the results are better than satisfactory – a lot better. 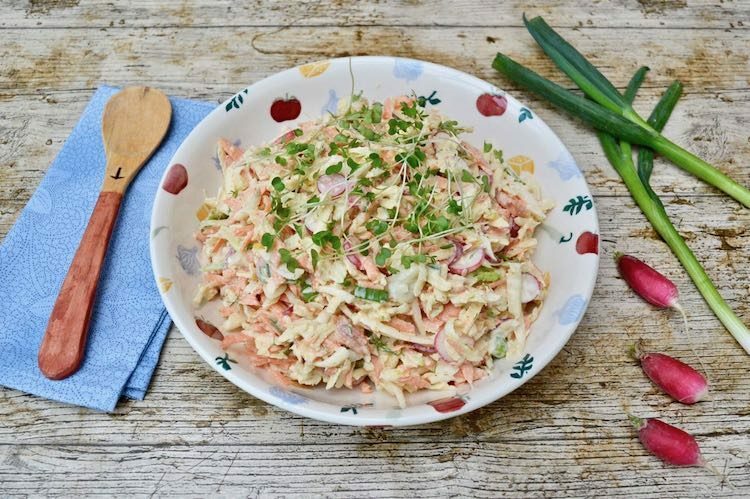 It’s quick to prepare and tastes delicious. The slightly caramelised apple pairs well with the subtle tones of cardamom and cider. As I was looking out of the rain splattered window early Sunday morning, my eye caught a rather large pile of apples that had fallen into our garden from a neighbour’s tree. Initially, I was tempted to ignore them, but my dislike of waste got the better of me. So, out into the pouring rain I went, in my nightdress, to forage for some of the less battered ones. 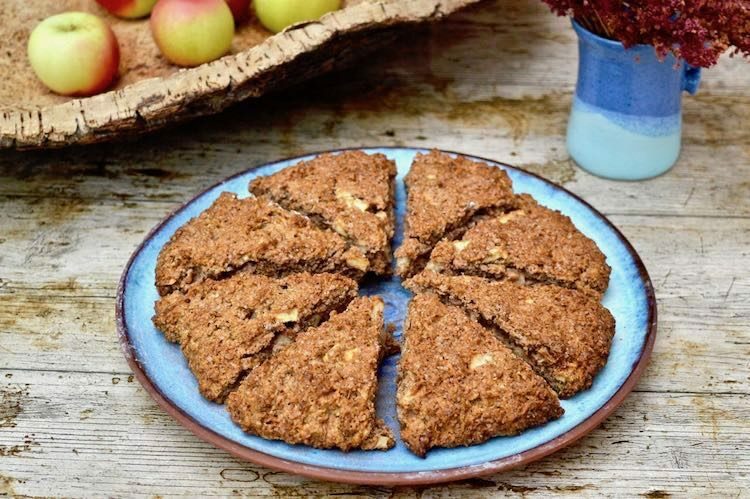 Here’s what I came up with: apple cider scones made with wholemeal spelt flour and flavoured with cinnamon. Apples have to be the best autumn treasure. They are versatile, delicious and can keep well. This year, they are also abundant. 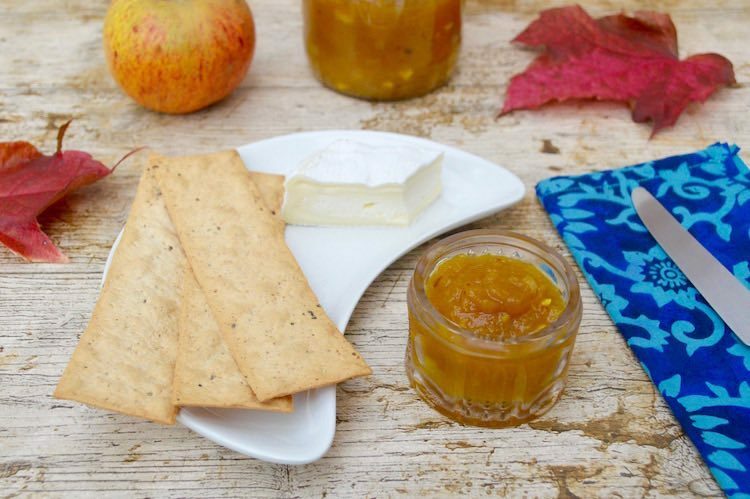 If you have more apples than you know what to do with, or even if you don’t, I urge you to make a batch of this spiced apple chutney. The leaves are turning, the mornings are misty and the season of mellow fruitfulness has definitely arrived. 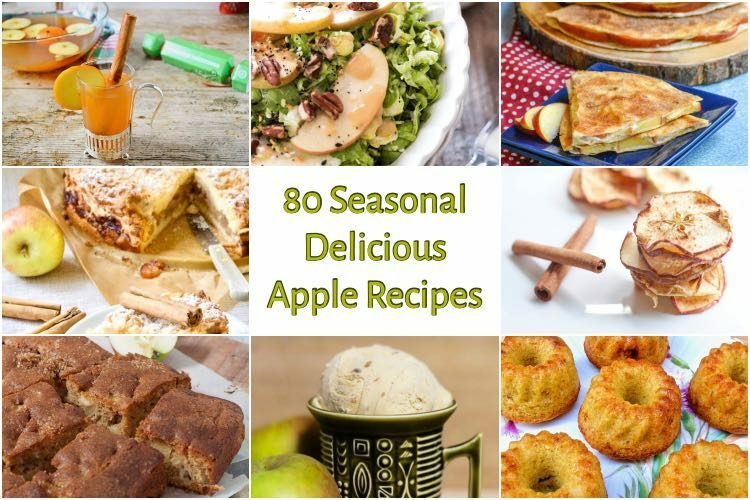 There are apples aplenty here in the New Forest and apple cake is an autumnal essential bake. For Bonfire Night last year, I reckon I created my best ever. 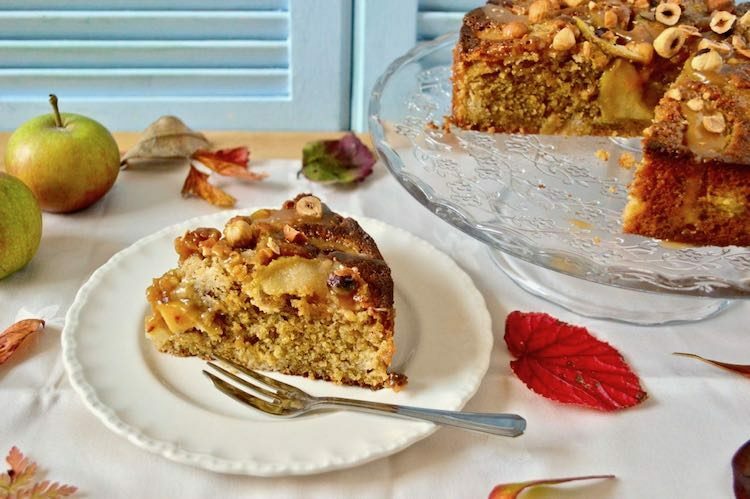 It’s a toffee apple hazelnut cake and is just perfect for this time of year. 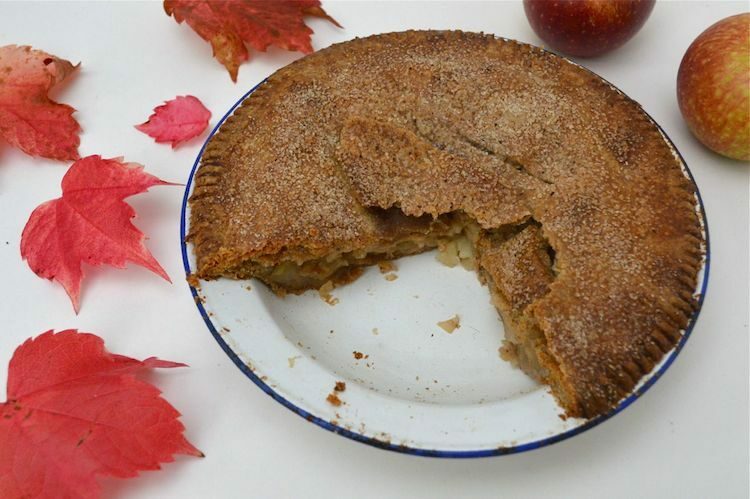 Calling this Granny’s apple pie is perhaps a bit far fetched. My Grandmother made the best pastry ever and wonderful apple pies to boot, but I very much doubt she’d have even heard of spelt and she’d never have used wholemeal flour. She also made her pastry by hand. This pastry was made using my new VonShef 1000W food processor. Read on to find out how to enter the giveaway for a chance of winning one for yourself. September is the month for blackberries, apples and green cobnuts. Yes cobnuts are good at Christmas to be sure, but eat them fresh in September and it’s quite a different experience. 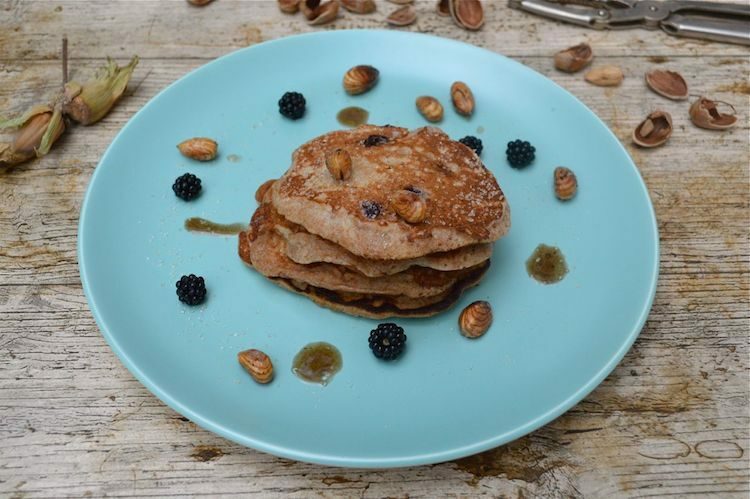 These blackberry & apple spelt pancakes with brown buttered cobnuts are a taste sensation – truly. Kale may not be the most obvious thing to put in a cake, but as many of you will know, I’m all for adding nutritious ingredients to my bakes. Flavour and texture are massively important, but I do derive quite a bit of pleasure from a naturally colourful cake. 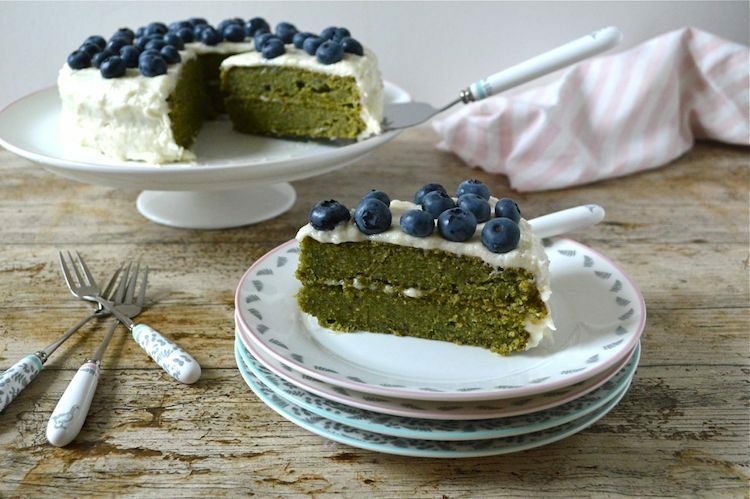 This kale apple cake with apple icing hits the spot on all counts.